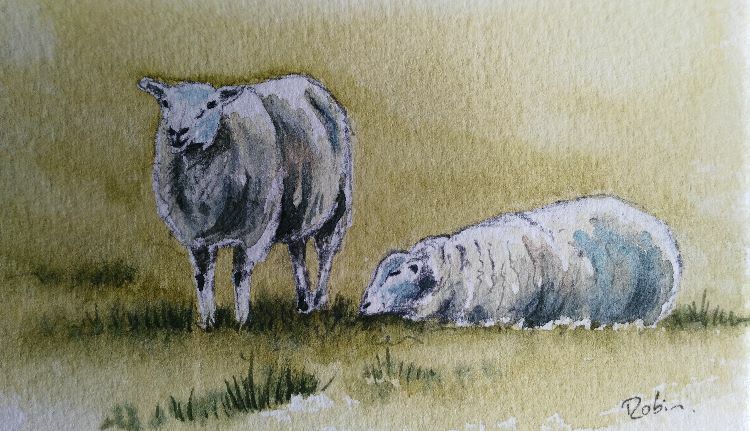 A small study of a couple of sheep I saw in fields by the River Slea. Pencil and watercolour. 14cm x 9.5cm.